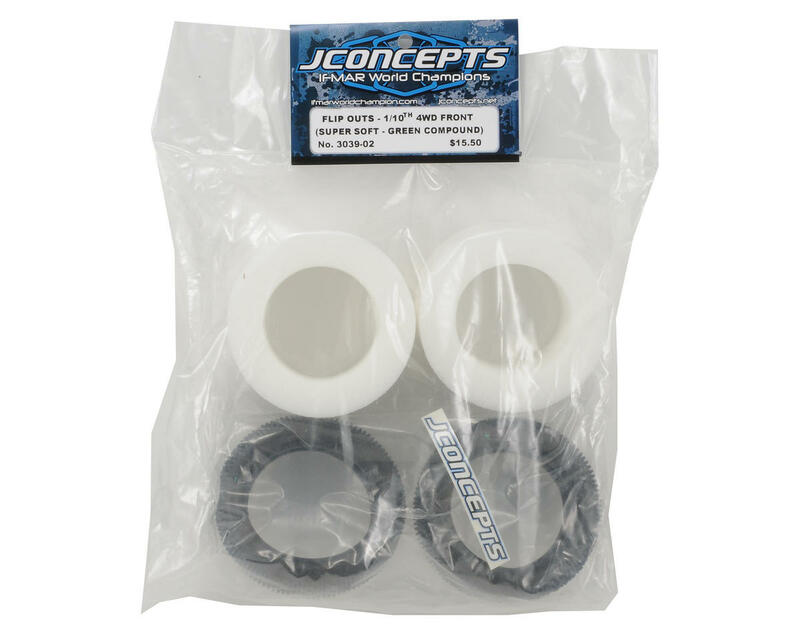 This is a set of two JConcepts Flip Outs 2.2 1/10 4WD buggy front tires. It’s not just a name; it’s a driver’s reaction! Flip Outs are here, giving drivers that tire in-between the Goose Bumps and Double Dees they have asked for. A very small pin construction makes up the foundation for the Flip Outs design and gives the grip when racers need it most. When the conditions are wet and green in the morning, traction is sometimes hard to come-by; Flip Outs are the choice. Alternating center bar support provides the base for the forward traction while the small accommodating tapered pins provide the dig and flex under hard acceleration and cornering. Tire profile and interior ribbing design were all areas of focus while creating the combination of durability, functionality and performance. 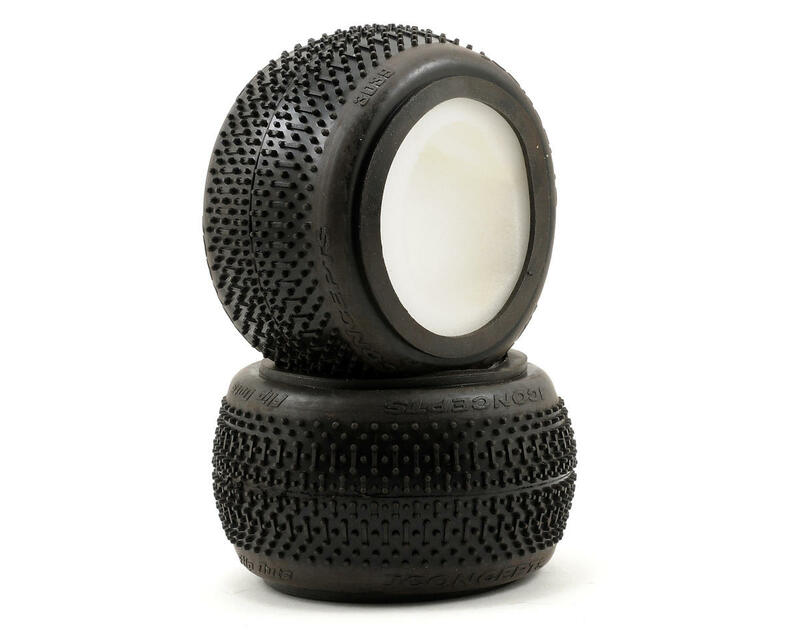 NOTE: JConcepts has includes rear tire foams due to the increased width of 4wd front tires. JConcepts recommends you use the foams in stock form.